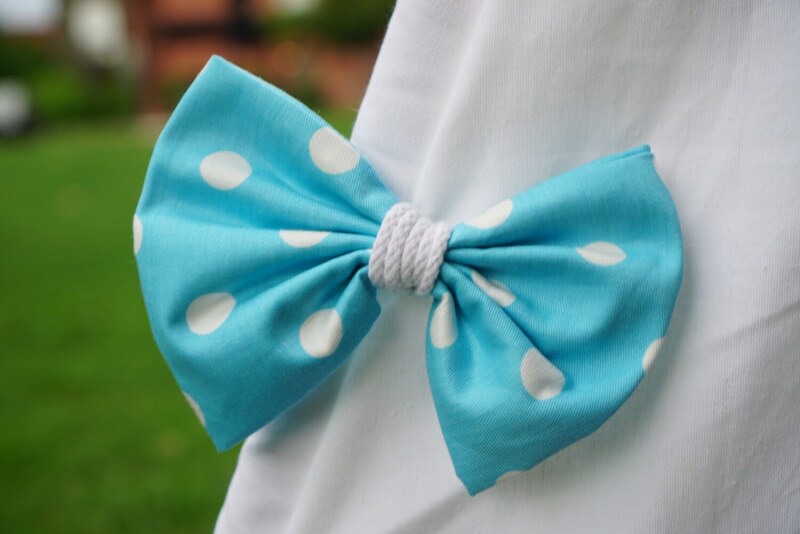 Ruffles, polka dot, pompoms, and cute cute bow designs, this one gets everything for you. 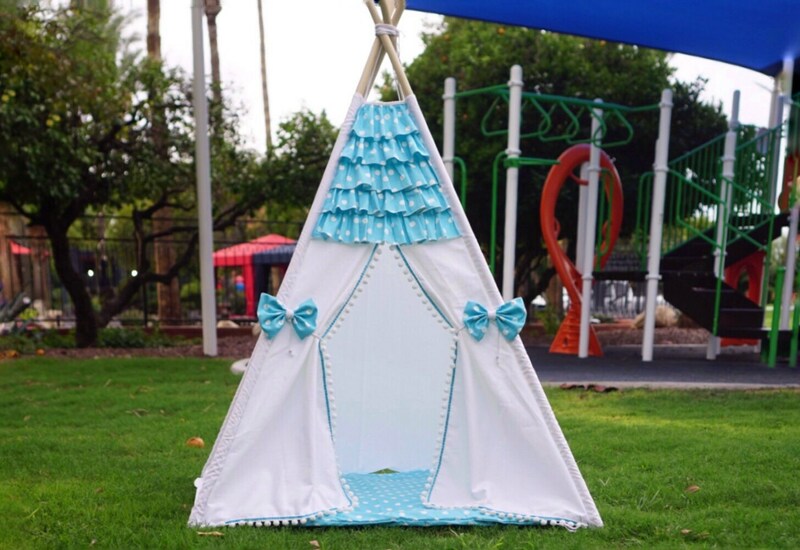 The base fabric of the teepee is white canvas. 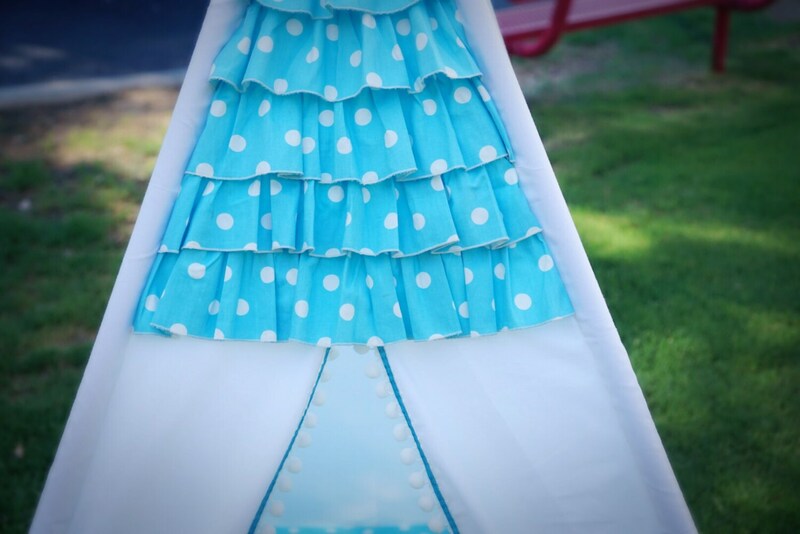 The polka dot matching mat is not included in the listing. 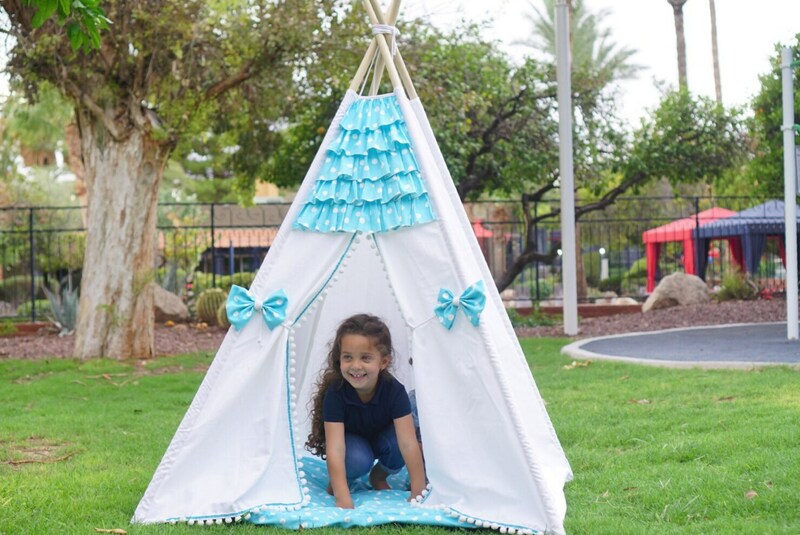 The base size of the teepee is 44inches*44 inches.